There are a lot of ways to build a football team and for every adage (i.e. “defense wins championships”), there is a seemingly endless list of contradictory edicts. What amazes me, though, is that we rarely ever seem to look at what is actually happening in football as a basis for how to build a successful football team. What I mean is that we talk about how important a defense is, but do we ever look to see whether the defensive teams have more success than the offensive teams? No one ever said “offense wins championships” and yet when we look at success in 2018 and 2019, it appears as if that’s exactly what is about to happen. When it comes to the Oakland Raiders, many will point to their dreadful defense as the reason for their demise — and they may not be entirely wrong — but rather than comparing this roster to a traditional understanding of what wins, why not compare it to the teams who have actually done the winning? The point of this article is to examine the four teams who advanced to their conference championships — the New England Patriots, Kansas City Chiefs, New Orleans Saints and Los Angeles Rams — as templates for winning football in 2019. What did they all have in common? And how might this apply to the Raiders as they look to build a successful team through free agency and the draft moving forward? The first thing that jumps out about these four teams is obvious: their offensive firepower. All four teams ranked in the top eight during the regular season in yards per game but even better yet, they represent the top four scoring offenses in the league. How can we ignore that? The four best teams in football are simply the best four teams at scoring points. This isn’t rocket science, and yet, it seems to often be ignored. Recent NFL history is not a story of defensive dominance (ask the Chicago Bears and Baltimore Ravens how that worked out for them), but rather offensive firepower. The second trend that jumped out to me as I looked at these four teams was their turnover margin — all four rank in the top seven league-wide. Unfortunately, this is the one piece of the puzzle that seems hardest to manage and replicate, as many believe turnovers to be generally fluky — with so much determined by the bounce of the ball, whether it’s off someone’s fingertips or off the ground on a fumble. Either way, it can’t be ignored that winning the turnover battle matters greatly. Here’s the headliner: these four teams allowed more points-per-game than any other teams in the league. I mean, how can we say defense wins championships in 2019?!? As far as yards-per-game allowed, the Chiefs were the second-worst defense in the league. In fact, none of the four semi-finalists ranked in the top ten — with the Saints boasting the best defense of the group at No. 14 (Rams were No. 18, Patriots No. 21). You might think that there were situational numbers that helped these four — maybe third down percentage allowed? Nope. All four once again ranked outside the top 10. Well, maybe it was their ability to make the other team one-dimensional? Nope again. While the Saints had the second-best run defense in the league, none of the other three teams ranked in the top 10 as a passing defense or rushing defense. Saints: Second in the league in run defense, fourth in forced fumbles. More than any other team they could make opponents one-dimensional — which explains why they were also fifth in sacks. Patriots: Third in interceptions, tenth in forced fumbles. Rams: Third in interceptions. This group is the most puzzling to me. On paper, they should have been an elite unit, but they struggled in every phase of the game this season. The conclusion, to me, is that the priority for the Raiders should actually be on offense more than on defense. 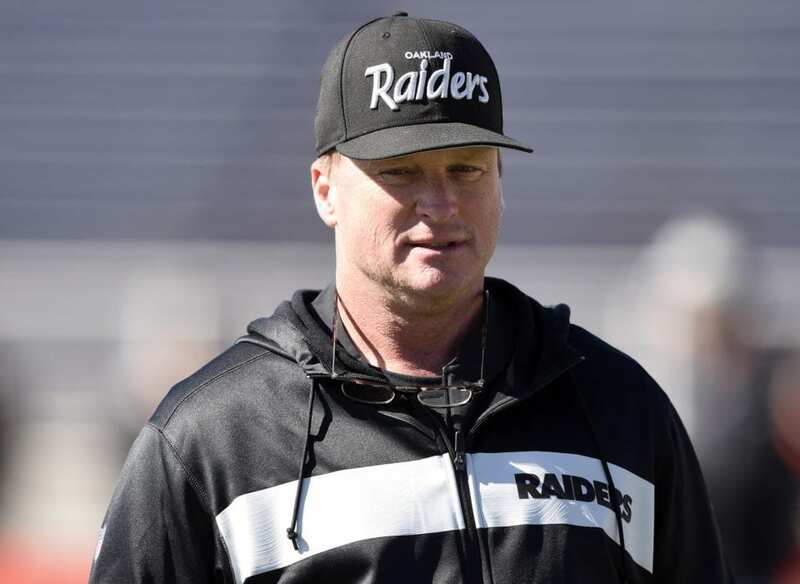 All four teams were elite offenses (and all four also kept their quarterback upright, ranking in the top seven in sacks allowed) — and if the Raiders wish to become elite, that’s where things have to start.